Lush Is In The Air… Lushfool… Lush Me Tender.. Crazy In Lush… I Just Called To Say I Lush You.. Enough. Can you believe it’s February 2014 already? The winter chill hasn’t quite left us but there’s a hint of spring in the air thanks to the red balloons and flowers adorning the shops in honour of Valentines Day. Only a week away, NOW is the ultimate last-minute buy time for boyfriends everywhere. (If your other half has had the planning sorted for days now, HE’S A KEEPER!) And if you’re a single gal in the city, then now is the time to treat yourself with the ultimate pamper session! At the launch of the Lush Cosmetics To Go book last week, I got up, close and personal with the Valentines range. Having had a week to trial, lather, scrub and and smooth the products around my body, I’ve now got some top recommendations for you! So leave this URL on your boyfriend’s browser – or get yourself down to the shops yourself. Either way, for me, Valentines is TREAT TIME. Left to Right: Neon In Love Gift Set, The Kiss Lipgloss, Shampoo Bar, Love Locket Bath Bomb, Prince Charming Shower Gel, Toucan Love Gift set. 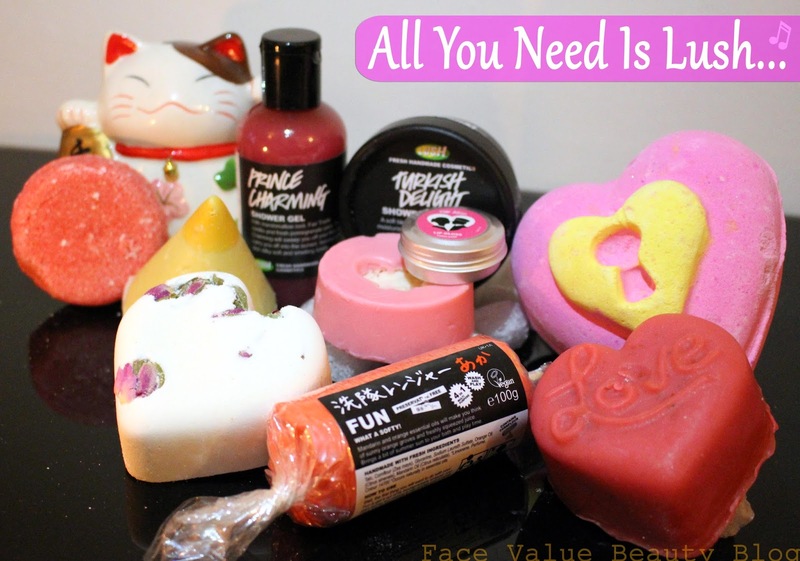 I love Lush gift sets – they smell delicious and they look stunning. Oh yeah and you get to unwrap them like it’s Christmas!! Mr FV isn’t great at wrapping (his wrap of choice is tin foil) so this is a GREAT option for those lacking skills in the presentational department. Neon Love Gift Set – this comes with it’s very own Neon Love soap (the big red heart) which has lots of little white hearts inside!! There’s a Turkish Delight shower smoothie which is like a gorgeous soap but with the consistency of taramasalata – I had to try hard NOT to eat it. Add a Dusk Til Dawn massage bar for a touch of sauciness and a unique FUN bar which is basically playdough soap. I’ve used the FUN bar to make little models of things when sitting in the bath a.k.a EXCELLENT BATHTIME ENTERTAINMENT. Toucan Love – this giftset features the Tisty Tosty heart-shaped bath bomb (which has real rose buds inside it!) and a lovely smelling Close To You massage bar. I love the massage bars – they’re a little messy but even if you’re not giving (or getting!) the massage, you can still use them like a scented body oil. Have You Found Your Prince Charming? Other Valentines highlights for me include this adorable Prince Charming shower gel. The Prince Charming shower gel contains vanilla, marshmallow root and pomegranate juice but it doesn’t actually smell too sickly sweet. 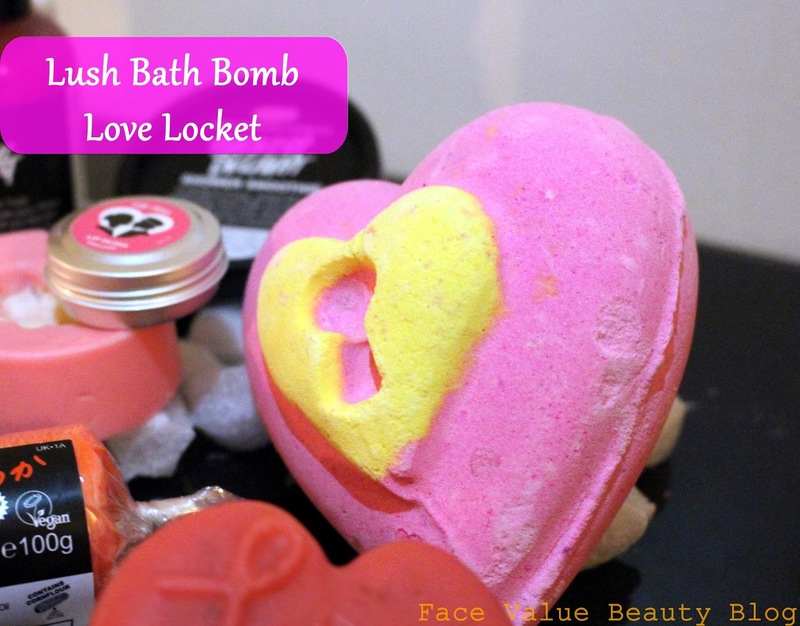 My ULTIMATE favourite (which was really really hard to pick) is this Love Locket bath bomb. Isn’t it adorable? It reminds me of the Polly Pocket houses I used to collect as a kid. I had about twenty different ones in the 90’s – THUMBS UP to Polly Pocket lovers! SPOILER: This bath bomb actually has another heart bomb INSIDE it – isn’t that genius!?! 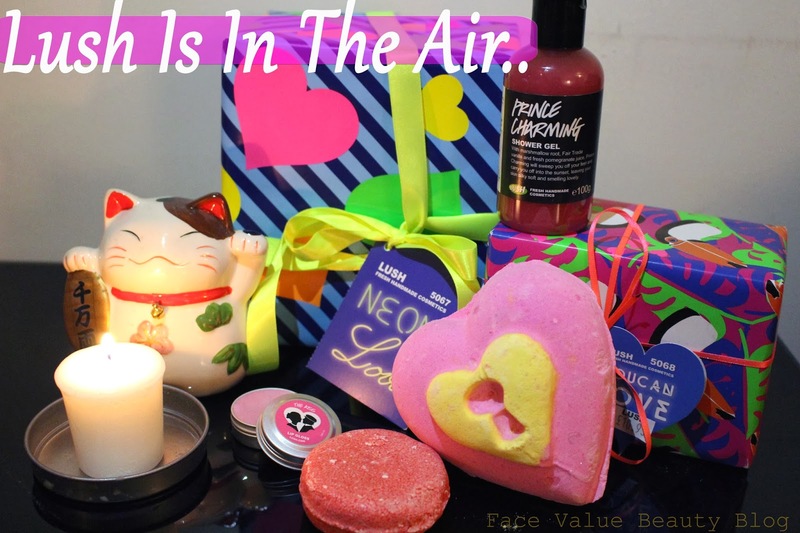 So there we go – my round up of the best picks from the Lush Cosmetics Valentines range. 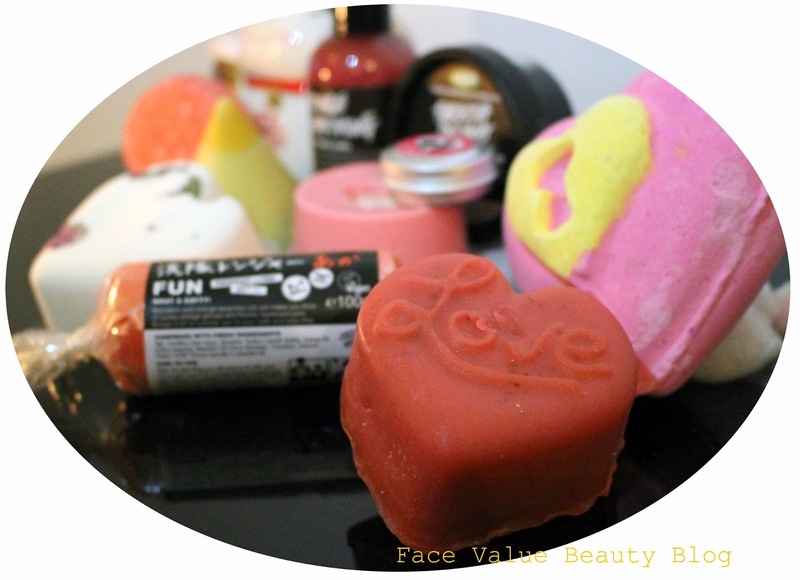 Check out BeautyQueenUK’s Lush post for some more bath-related goodies! As the majority of these are Limited Edition, you need to snap them up! 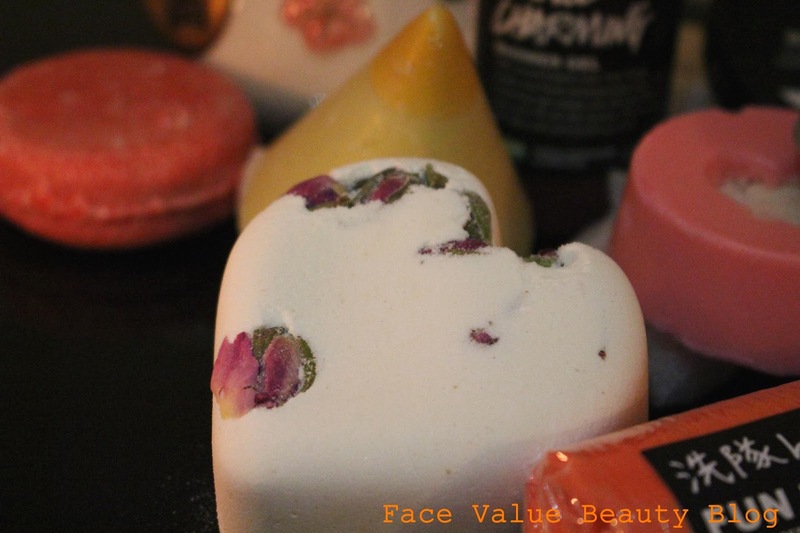 Full of natural goodies, these Lush items are really something different -they’re fun! Oh yeah, they also double up as room fragrances too, my bedroom smells HUHMAZING. Will any of these be going on your list? What’s your favourite Lush product – assuming you can even begin to think about picking just one!? Can you think of any more Love/Lush puns?!!! *Thank you to Lush Cosmetics for having me at the launch and giving me the items that I loved!